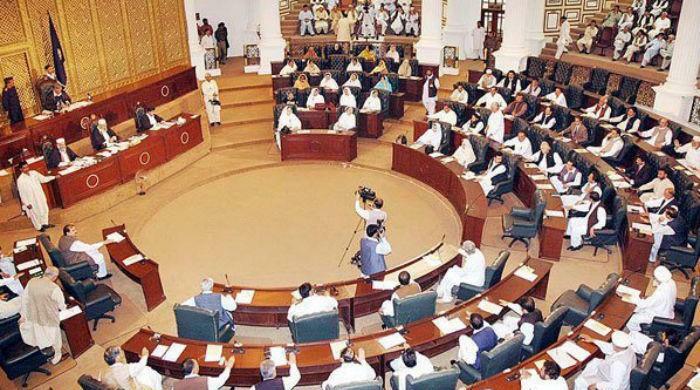 PESHAWAR: The seats for the Khyber Pakhtunkhwa assembly will increase to 147 from the current 126 after its merger with Federally Administered Tribal Areas, according to the proposed 30th Amendment of the Constitution. The amendment, which would serve as a means to merge FATA with Khyber Pakhtunkhwa province, was presented before the National Assembly’s Standing Committee for Law and Justice for approval on Wednesday but the committee decided to consider it in their next meeting. The general seats of the provincial assembly will increase from 99 to 117, the bills states. Moreover, the seats for women have been increased from 22 to 26, while religious minorities’ seats from three to four. According to the sub-section of the bill, FATA will be granted 18 general seats, four seats for women and one for the religious minority. Minister for States and Frontier Regions Lt Gen (r) Abdul Qadir Baloch in his statement of objects and reasons said that the federal cabinet in its decision on March 2, 2017, approved the integration of FATA with KP. “FATA being a part of the Khyber Pakhtunkhwa after such integration will require its representation in the provincial assembly of the province,” he said, adding that the seats for FATA have been created in KP assembly according to its population. “Creation of such seats is also of paramount importance for the fact that, if delayed, it will not only hamper the integration or the mainstreaming of FATA but also neglect a favourable opportunity, which might become a distant possibility before the next general elections 2023,” he added.